Former President Carter is interviewed in a recent article on the publication of a new book. 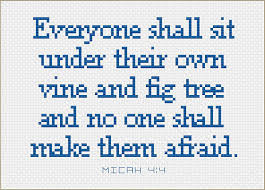 The book, Faith: A Journey for All, is number forty seven that has come from his pen. In the interview he shares the kind of optimism that has probably helped his longevity. The man is ninety three years old and still going strong. When asked about the current divisiveness in our society, he reminds us of our history and the struggles of the past we have survived as a people. Then he states, "the resilience of our country and the principles of our Constitution have always prevailed." That kind of optimism is sorely needed when all around are those who are despairing and depressed, lamenting the possibility of a promising national future. His optimism is not grounded in naivete. Carter understands the nature of our challenges as a country. He places race front and center. 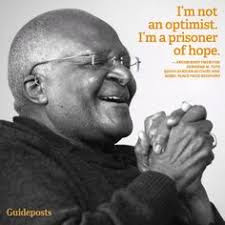 He recognizes the new dimensions of our challenges that include a soaring prison industry, extension of racial discrimination against immigrants, and the growing inequality of economic opportunity and resources. 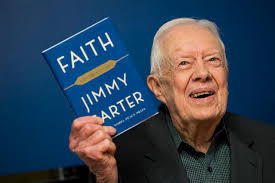 The optimism, moral stature and faith of Carter, is a balm in a time when those qualities seem in short supply. 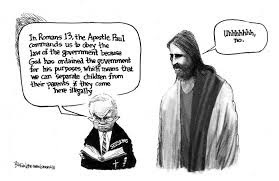 He represents the best of what we know as evangelical Christianity. For him, an evangelical is "someone who has faith and tries to put that faith into practice and tries to convince other people to share that faith by setting an example." His example of service to others is more than evident in his work with Habitat for Humanity, the Carter Center and his institutional relationships with church and academy. He still teaches classes at Emory University and adult Sunday School at Maranatha Baptist Church. The part of the interview that was of most significance to me was the comments he made about the U.S. as a superpower. It's clear to him we want to be a superpower. But Carter contends there are other ways to exercise power than through military might. "The United States of America ought to be seen by the rest of the world as a champion of peace, not war, a champion of human rights, a champion of equality, and a champion of generosity to help people in need." Those are the values implicit in Carter's faith, and at our best, implicit in the values of our country. One of the enduring memories of the Carter Presidency for me was his emphasis on human rights. In one of my cynical moments at the time, I bemoaned what I saw as window dressing on human rights in the presence of a friend from Latin America. He was quick to correct me. What I couldn't see from my vantage point he was able to clearly witness. The emphasis Carter placed on human rights was making a daily difference in his country and the activities of governments in the whole region. A few weeks ago a friend gave me a children's book titled "America Will Be Great." It's a good book for big children as well. The first page begins with, "America will be great when all people feel safe, no matter the color of their skin, no matter where they were born, no matter who they love, and no matter where they do or do not worship." We might add, "no matter where they go to school." People ought to feel safe there too. Page two and three read, "America will be great when every person has a safe place to sleep at night and enough food to eat each day. America will be great when every person can go to the doctor and get the medicine and care they need when they get sick." You see where this is going? The book raises some fundamental national values. What does it mean in our time to "establish justice, insure domestic tranquility and promote the general welfare?" How is it that greatness in this country has become synonymous with global military extravagance, nativism and economic dominance? How is it that while we blow up homes in foreign lands the number of homeless in this country grows in leaps and bounds? How can we have so many hungry children in the richest country on earth? Former President Carter believes Christianity is wrongly understood when it is seen as a box, like a telephone booth, that is so confining. One is surrounded by rules and regulations to the point where you can hardly move. In contrast, he sees faith as liberating. Faith opens one up to the world and to other people. Faith helps one approach life thankful for the day's blessings instead of always looking for more. Faith gives you the confidence and passion to move out and care about others. Faith gives you the vision to structure sound social systems. Faith is, as Scripture says, "the assurance of things hoped for, the conviction of things not seen." 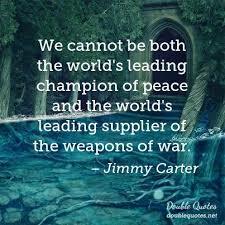 We could all use a bit more of the faith of a Jimmy Carter. As he says, it's a journey for all. President Trump’s “Zero Tolerance” immigration policy is as heartless as it is cowardly. It is also chillingly cruel. When this policy is paired with the president’s decision, announced on June 19, 2018, to withdraw from the UN Human Rights Council, we may reasonably conclude that the American creed promising “liberty and justice for all” is more than tarnished. The torch held aloft by the Statue of Liberty is being extinguished before our eyes. 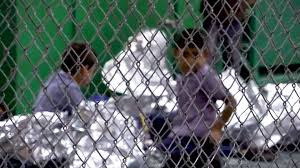 Some commentators compare the detention centers and “tent cities” housing immigrants and refugees to the Japanese internment camps of World War II. 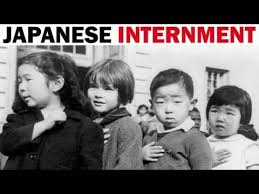 In 1998, President Reagan signed the Civil Liberties Act, which offered an official apology to the people of Japanese descent who had been incarcerated in the camps, and paid each survivor $20,000 in compensation. It is possible that somewhere in the future another president will make a similar apology to persons incarcerated by President Trump, but there is another precedent that I think is more likely. 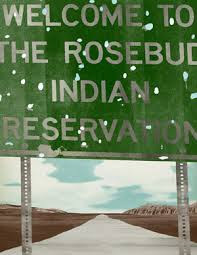 In the late eighteen hundreds the US established and funded Indian boarding schools to solve what was then thought of as the “Indian Problem.” In the beginning these schools were located on Indian reservations and run by Christian missionaries. It was not long before off-site residential schools were established and private enterprise began competing with religious denominations for federal dollars. 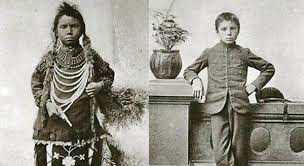 The motto for the boarding school movement was “Kill the Indian, save the man.” In addition to receiving a classic Western education, students were beaten, handcuffed, locked in closets, and suffered multiple cruelties. Unsanitary conditions contributed to numerous student deaths. 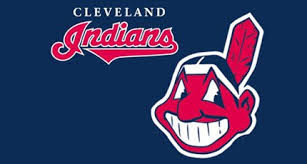 All of this was done in the name of love, and for the purpose of civilizing and Christianizing Indian children. Thanks to organizations like the Native American National Boarding School Healing Coalition stories about school conditions and atrocities are being documented today. We should anticipate that today’s immigrants will form similar healing coalitions in the future. Indian boarding schools were established ostensibly for the purposes of breaking down indigenous tribal communities, undermining tribal authority, dismembering Indian families, and assimilating Indian children into a white Christian culture. One of the unintended consequences was that the schools gave rise to a pan-tribal movement, because children from many different tribes from different regions of the country were thrown together in one place. 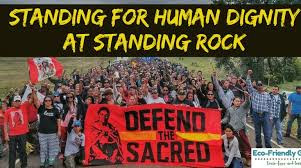 The schools also strengthened Native resolve to achieve sovereignty. President Trump’s Zero Tolerance policy is ostensibly for the purposes of solving the “immigration problem“ and “protecting our borders.” The government assumes that people crossing the US-Mexican border are criminals, and they are treated accordingly. Civil Rights advocates are organizing in response to the government’s actions. Collectively the experiences of the people who are being incarcerated, the enduring trauma of families torn apart by the Zero Tolerance policy, families the government now refuses to help reunite, and the work of Civil Rights advocates may begin a new and more hopeful chapter in US history. As the government is trampling on individual rights and freedoms, counter measures are being taken. The role of the Protestant church in the midst of this struggle is of particular interest to me. There are Christians whom I believe are confusing the ways of Christ with the ways of our dominant culture. These members of the faith community continue to support President Trump, and to disregard or dismiss the myriad scandals that cling to him and mounting lawsuits pending against him. But, at the same time, a broad healing coalition that strongly opposes the administration’s policies and practices is coming into being. Broad coalitions of this sort are welded together over time by the torch of experience. Some members of this coalition remember the 1960s as a time when hope for change was ripe. Other members of this coalition have more recent experiences such as the Occupy Movement, the protest at Standing Rock, participation in the Me Too movement, or the Black Lives Matter and the GLBTQI campaigns. Participation in these movements is not mutually exclusive. People who are active in one movement often have ties to other movements. The common thread that weaves these diverse and otherwise apparently disparate causes together is other-regard. In this hour of darkness, I remain “a prisoner of hope,” to use a biblical expression, for I see us coming to a level of theological maturity that is not driven by ideological theology or un-proveable metaphysical doctrines, but simply by respect others, respect for the earth, and respect for ourselves. 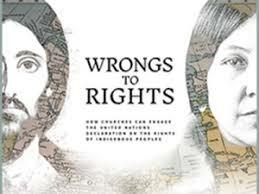 I submit that the UN Declaration on the Rights of Indigenous Peoples is the charter document for a future in which such respect is honored. I began to weep as I stood in the kitchen that day, and heard the news of yet another school shooting. This one in Texas, ten dead, eight students and two teachers. Such had been that painful week for all of us, for this poor, sorrowing world, for this nation, sick in the grip of its plague. So too had the week began, with far away gunfire ever so close, sixty Palestinians dead on the Gaza border, the grip of plague in Israel too. 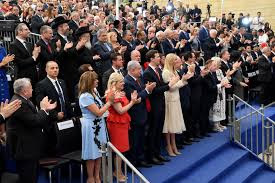 Oblivion seemed to reign in the face of such loss of life, while people from another planet partied in Jerusalem on the opening of the American Embassy, blood on their hands, on our hands. It was the prelude to Shavuous, the feast of weeks, second of the year’s three harvest festivals that mark the seasons in the Jewish calendar. It was the Torah portion of Bamidbar/In the Desert, the turning of Torah calling us to turn, to seek a new way. We come to Sinai and are reminded of the greatest unity that ever joined the Jewish people as one, in that moment when the Torah was given and we spoke with one voice and said, na’aseh v’nishma/we will do and we will understand. We are still trying to learn what to do, what it means to live the values of Torah, to live human values, humane values, still waiting to understand, waiting for the way to open. Through acts of love and compassion, we are touched by intimations of what it means to love our neighbor as ourselves, not to oppress or mistreat the stranger, to provide for the orphan, the widow, the stranger, the most vulnerable among us, and so to be holy as God, our God, is holy. By doing, we come to understand. 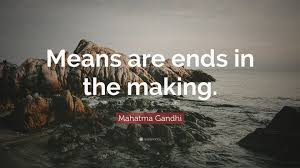 It is in the way of means and ends, the nature of means determining the nature of the ends. I had an intimation during that week of what it might mean to act and only then to understand, receiving an unexpected gift, a moment of pause in the midst of all the sorrow. It was from the beginning a bittersweet evening, invited to a gathering of friends of the German Consul General to New England, Mr. Ralf Horlemann, a gathering of those whom he had touched in his time in Boston. My own life was touched deeply as part of the journey of twelve rabbis to Germany two summers ago, Ralf our guide on a Journey of Remembrance and Hope. 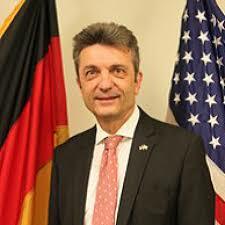 Whenever I need a moment of catharsis I close my eyes and feel the hot torrent of tears that poured down my face at Dachau, Ralf crying with us. It was a transformative journey, one through which I will always be joined to Ralf, son of a German soldier from then, and a Jew who had vowed never to go to Germany. Of people joined across divides, the gathering was held in an art gallery, a Holocaust survivor’s tormented art upon the walls. After words were spoken, words were then transcended as a string quartet of young musicians lifted their instruments and began to play. 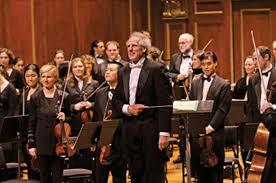 Members of the Boston Philharmonic Youth Orchestra, they were led by Maestro Benjamin Zander. It was not a concert, but in effect a master class, the Maestro dancing among them, singing the notes from memory, so loving and as enthralled as we were. Suddenly he would stop the violinist, asking of her feelings in such a moment of loss of which her instrument sang. And then the deeper feeling came through as bow returned to strings, bringing tears to all of us. And to the cellist he said to raise his eyebrows, show the surprise and magic of the music and the moment. He emphasized the importance of the second violin, the message clear, that each one has their own task and purpose, each one so needed for the gift of their presence. So the lessons continued to come, the bittersweet teachings of the bittersweet gathering, sweetness somehow touching the bitterness of that week. The Maestro spoke of these young musicians, from Russia, from Asia, from North Carolina, joined across whatever might divide. “They all speak Beethoven,” he said. 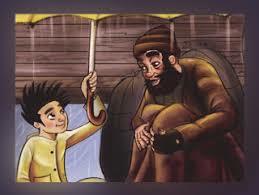 He modeled the finest way of the teacher, how to correct without hurting, doing so with such love, with such joy. 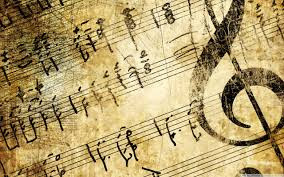 Suddenly stopping the music, he said how perfect it was, and then said, “that is what Motzart wrote, but it’s not what he meant….” It was a lesson in Torah, the written Torah of notes on paper, and the oral Torah of soul and spirit interpreting. It was a required course for my specialization in Seminary. My clinical pastoral education component was at Brooklyn Methodist Hospital, in one of the New York City boroughs. It was a long subway ride from where we lived on Riverside Drive. The ride gave me plenty of time to worry about what I might encounter when I arrived and plenty of time to consider the events of the day on the way back home. 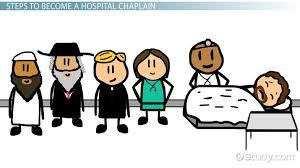 For the first few days at the hospital I simply followed the Chaplain on his rounds. There were always people coming and going. Greeting new people and saying good bye to others was common. Sometimes on a slow day, I sat in the office and read or we talked about different situations a person might encounter and what resources were available to help in those situations. Not many days into the experience, the Chaplain had a meeting in Manhattan. He had to leave early and asked me to cover for him. With some trepidation I agreed. No sooner had he stepped out the door than a woman appeared in the office. She asked if I could go up and have prayer with her mother. It was at her mother's request. Once more I agreed. As I went to the elevator and rode up to her floor, I was mentally working on the outline of a prayer. I didn't know this woman. I'd never met her. I knew nothing of her situation or condition. Should I have checked that out ahead of time? Obviously, the Chaplain and I hadn't spent enough time on this kind of event. How did I offer a generic prayer? Or should I spend some time visiting with her first in order to make the prayer relevant? As I entered her room, I was still confused and not certain what to do. It didn't matter. After I had introduced myself she thanked me for coming. Then she started to pray. She prayed for at least five minutes. It was probably the longest prayer I have ever experienced. It was a prayer of thanksgiving, a prayer of gratitude. She held up all those people and experiences in her life for which she was grateful. It was a long list. When she was finished, she thanked me again for coming. I knew my role had been fulfilled and I was dismissed. My role was listening! She taught me how listening can be prayer. 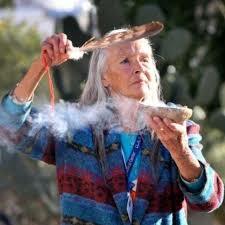 More than anything, she made me appreciate the richness of a life lived fully with gratitude. As I left, she looked almost radiant, a picture of health. The next day when I checked, she was dead. I'm thinking about gratitude. There was an article in one of my journals recently about this subject. It reported that psychologists and medical professionals often recommend keeping a gratitude journal to heart patients. Recording things you are thankful for each and every day has proven to help reduce the burden of those stressful things encountered and improves one's mood. There's even a term for it now, "gratitude intervention." One seems to think more about such things as we age. Perhaps it's because our lives have slowed down to the point where we can actually be present in the moment to watch the birds (or the squirrel) at the feeder. Maybe it's because the problems and failures of the past have receded to the point where they no longer seem that significant. Maybe it's because the future seems just around the corner and we need to be prepared for it. I've had enough experience with dying to know that my first encounter at Brooklyn Methodist happens repeatedly. Not a five minute prayer of thanksgiving! But a life lived fully and gratefully slips into that other dimension we call death, quietly and easily. Especially in a time of division and violence, I want to cultivate gratitude. Journal-ling about gratefulness is on my mind and my agenda. Years ago, a good friend suggested I paint a smiling face on the ceiling above the bed. That way when I woke up in the morning, I would be reminded to smile at the new day. It would move the muscles in my face into the proper form for the rest of my day. What a combination that could be, smiles and a gratitude journal. The journal article I mentioned quotes Maya Angelou. She offers some real wisdom for a well lived life. "If you must look back, do so forgiving-ly. If you must look forward, do so prayerfully. However, the wisest thing you can do is be present in the present … gratefully."